Do you find baking bread intimidating? I do, but the more I try it I’m pleasantly surprised with the results and it’s almost always easier than I think! This recipe is super simple with basic ingredients. I married an Irish boy so this is a nod to him and my kiddos. I also made a delicious cinnamon honey butter to go along with it. 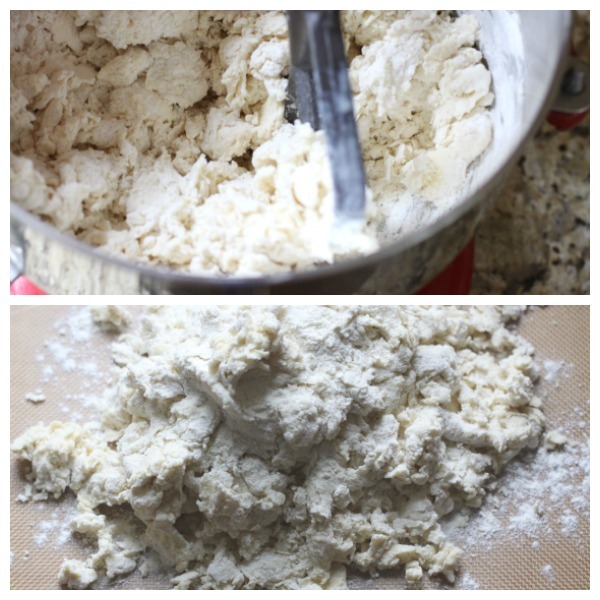 In a large mixing bowl, mix flour, sugar, baking powder, and butter together. 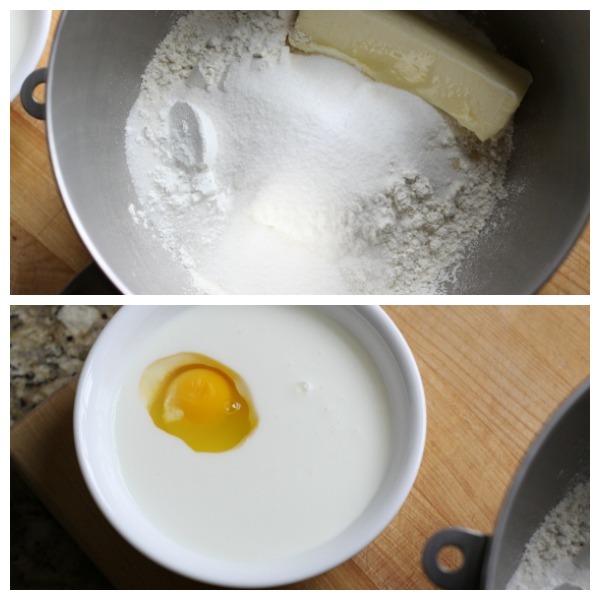 Mix egg and buttermilk and add to mixture until combined. 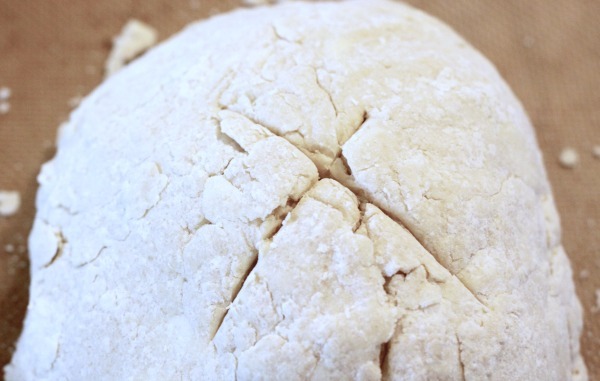 Turn out on floured surface and form into a ball. Cut an X in the top with a sharp knife. Brush with butter and buttermilk mix. I did it once before it went in and once in the middle of baking. Bake a 375 for about 45 minutes or when toothpick comes out clean from center of bread. Mix all ingredient well and enjoy! The dough isn’t smooth, it’s pretty rustic. I was sure it wouldn’t turn out but it’s delicious! 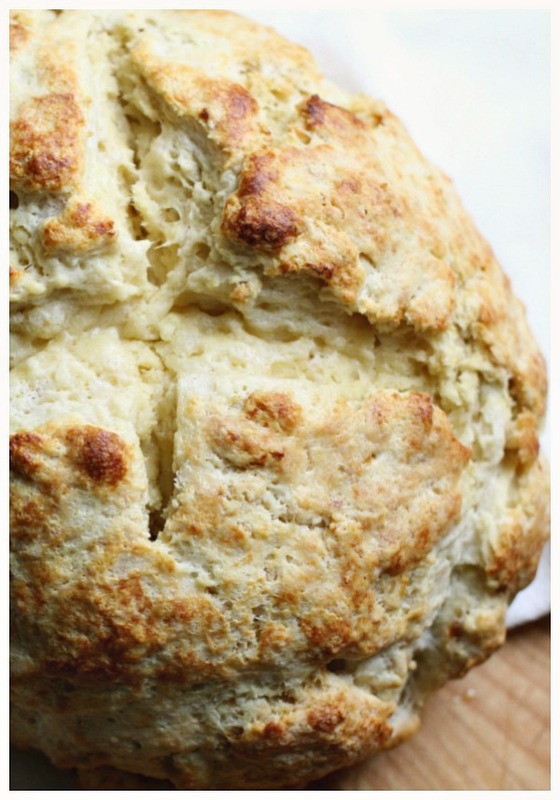 If you have success and want another great bread recipe check out Five hour no-knead bread. 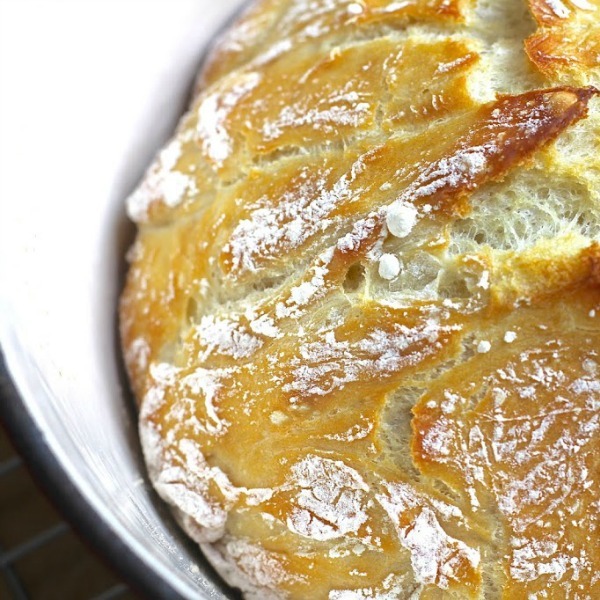 You won’t believe how simple this amazing bread is! Oh, it looks delicious! I made bread all the time when my girls were young. But now I have arthritis in both hands from a car wreck, and doubt I could knead dough. Brenda hardly any kneading at all! Thanks for visiting!! LOL Nikki!! Thanks for making me smile!! Susan, this looks amazing!Bread. Honey Butter. What’s not to love! Thank you for sharing this recipe. No, no yeast! It’s delicious! Baking soda isn’t in the directions. I assume it’s added with the rest of the dry ingredients?